Latisse is a treatment for thin eyelashes, known as eyelash hypotrichosis. Latisse, or bimatoprost ophthalmic solution 0.03%, promotes growth of your eyelashes, increasing length, thickness and darkness. 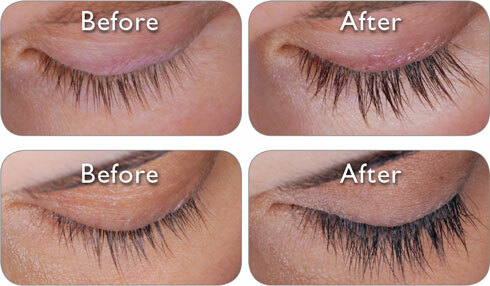 Latisse is the first, and only, FDA-approved treatment for eyelash hypotrichosis. Latisse is a 30-day prescription treatment that you administer yourself at home. Each night, apply Latisse directly to the skin of your upper eyelids using the special sterile applicators included. Blot off any excess solution from outside the upper eyelid area. Use a new applicator for each eye every time you apply Latisse. Results will appear gradually; the majority of patients are likely to see a significant increase in their eyelash growth after the first two months of using Latisse. Using Latisse more often than recommended will not speed up the eyelash growth process. Latisse is not a permanent treatment for eyelash hypotrichosis – when you stop using Latisse, your eyelashes can be expected to gradually return to their pre-treatment levels. Latisse may cause darkening of the eyelid skin, which may go away when Latisse is stopped. There is also a small possibility of a permanent increase in brown pigmentation to the iris. Hair may also grow outside the eyelash area if Latisse repeatedly comes into contact with non-target areas. The most common reactions to Latisse, affecting a small number of people, are eye redness, itching and discoloration. Unretouched photos of LATISSE™ users in the clinical trial before starting treatment and at week 16. The onset of effect with LATISSE™ solution is gradual. In the clinical trial, the majority of users saw significant improvement by 2 months. Individual results may vary. Note: None of the above is intended as medical advice. Individual results may vary, consult your doctor to make sure you are a good candidate.